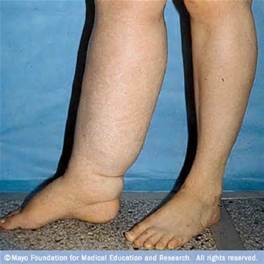 Varicose veins are veins that have become enlarged and tortuous. 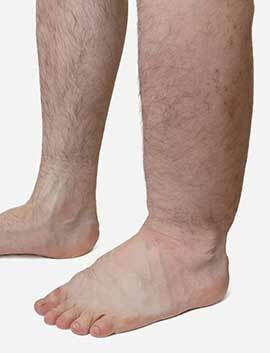 The term commonly refers to the veins on the leg, although varicose veins can occurelsewhere. Veins have leaflet valves to prevent blood from flowing backwards (retrograde). Leg muscles pump the veins to return blood to the heart, against the effects of gravity. When veins become varicose, the leaflets of the valves no longer meet properly, and the valves do not work. This allows blood to flow backwards and they enlarge even more. Varicose veins are most common in the superficial veins of the legs, which are subject to high pressure when standing. Besides cosmetic problems, varicose veins are often painful, especially when standing or walking. They often itch, and scratching them can cause ulcers. Serious complications are rare. Non-surgical treatments include sclerotherapy, elastic stockings, elevating the legs, and exercise. The traditional surgical treatment has been vein stripping to remove the affected veins. Newer, less invasive treatments which seal the main leaking vein on the thigh are available. Alternative techniques, such as ultrasound-guided foam sclerotherapy, radiofrequency ablation and endovenous laser treatment, are available as well. Because most of the blood in the legs is returned by the deep veins, the superficial veins, which return only about 10 per cent of the total blood of the legs, can usually be removed or ablated without serious harm. Varicose veins are distinguished from reticular veins (blue veins) andtelangiectasias (spider veins), which also involve valvular insufficiency, by the size and location of the veins. Many patients who suffer with varicose veins seek out the assistance of physicians who specialize in vein care. These physicians are called phlebologists. The illustration shows how a varicose vein forms in a leg. Figure A shows a normal vein with a working valve and normal blood flow. Figure B shows a varicose vein with a deformed valve, abnormal blood flow, and thin, stretched walls. The middle image shows where varicose veins might appear in a leg. 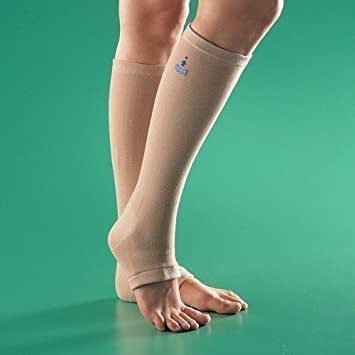 anti-inflammatory medication such as ibuprofen or aspirin can be used as part of treatment for superficial thrombophlebitis along with graduated compression hosiery – but there is a risk of intestinal bleeding. In extensive superficial thrombophlebitis, consideration should be given to anti-coagulation, thrombectomy or sclerotherapy of the involved vein. Active medical intervention in varicose veins can be divided into surgical and non-surgical treatments. Some doctors favor traditional open surgery, while others prefer the newer methods. Newer methods for treating varicose veins such as Endovenous Thermal Ablation (endovenous laser treatment or radiofrequency ablation), and foam sclerotherapy are not as well studied, especially in the longer term. Several techniques have been performed for over a century, from the more invasive saphenous stripping, to less invasive procedures like ambulatory phlebectomy and CHIVA. Cryosurgery- A cryoprobe is passed down the long saphenous vein following saphenofemoral ligation. Then the probe is cooled with NO2 or CO2 to a temperature of -850. The vein freezes to the probe and can be retrogradely stripped after 5 sec of freezing.It is a variant of Stripping. The only point of this technique is to avoid a distal incision to remove the stripper. A commonly performed non-surgical treatment for varicose and "spider" leg veins is sclerotherapy in which medicine is injected into the veins to make them shrink. The medicines that are commonly used as sclerosants are polidocanol (POL), sodium tetradecyl sulphate (STS), Sclerodex (Canada), Hypertonic Saline, Glycerin and Chromated Glycerin. STS and Polidocanol(branded Asclera in the United States) liquids can be mixed with air or CO2 or O2 to create foams. Sclerotherapy has been used in the treatment of varicose veins for over 150 years. Sclerotherapy is often used for telangiectasias (spider veins) and varicose veins that persist or recur after vein stripping. Sclerotherapy can also be performed using foamed sclerosants under ultrasound guidance to treat larger varicose veins, including the great saphenous and small saphenous veins. A study by Kanter and Thibault in 1996 reported a 76% success rate at 24 months in treating saphenofemoral junction and great saphenous vein incompetence with STS 3% solution. A Cochrane Collaboration review concluded sclerotherapy was better than surgery in the short term (1 year) for its treatment success, complication rate and cost, but surgery was better after 5 years, although the research is weak. A Health Technology Assessment found that sclerotherapy provided less benefit than surgery, but is likely to provide a small benefit in varicose veins without reflux. This Health Technology Assessment monograph includes reviews of the epidemiology, assessment, and treatment of varicose veins, as well as a study on clinical and cost effectiveness of surgery and sclerotherapy. Complications of sclerotherapy are rare but can include blood clots and ulceration. Anaphylacticreactions are "extraordinarily rare but can be life-threatening," and doctors should have resuscitation equipment ready. There has been one reported case of stroke after ultrasound guided sclerotherapy when an unusually large dose of sclerosant foam was injected. The Australian Medical Services Advisory Committee (MSAC) in 2008 has determined that endovenous laser treatment/ablation (ELA) for varicose veins "appears to be more effective in the short term, and at least as effective overall, as the comparative procedure of junction ligation and vein stripping for the treatment of varicose veins." It also found in its assessment of available literature, that "occurrence rates of more severe complications such as DVT, nerve injury and paraesthesia, post-operative infections and haematomas, appears to be greater after ligation and stripping than after EVLT". Complications for ELA include minor skin burns (0.4%) and temporary paraesthesia (2.1%). The longest study of endovenous laser ablation is 39 months. Two prospective randomized trials found speedier recovery and fewer complications after radiofrequency ablation (ERA) compared to open surgery. Myers wrote that open surgery for small saphenous vein reflux is obsolete. Myers said these veins should be treated with endovenous techniques, citing high recurrence rates after surgical management, and risk of nerve damage up to 15%. In comparison, ERA has been shown to control 80% of cases of small saphenous vein reflux at 4 years, said Myers. 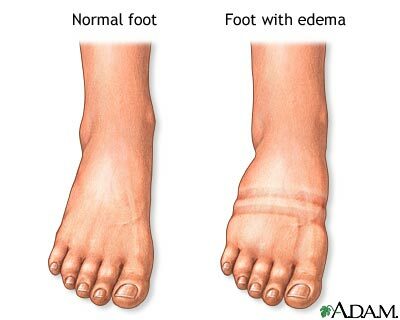 Complications for ERA include burns, paraesthesia, clinical phlebitis, and slightly higher rates of deep vein thrombosis (0.57%) and pulmonary embolism (0.17%).One 3-year study compared ERA, with a recurrence rate of 33%, to open surgery, which had a recurrence rate of 23%. ELA and ERA require specialized training for doctors and expensive equipment. ELA is performed as an outpatient procedure and does not require the use of an operating theatre, nor does the patient need a general anaesthetic. Doctors must use high frequency ultrasound during the procedure to visualize the anatomical relationships between the saphenous structures. Some practitioners also perform phlebectomy or ultrasound guided sclerotherapy at the time of endovenous treatment. Follow-up treatment to smaller branch varicose veins is often needed in the weeks or months after the initial procedure. ^ Merck Manual Home Edition, 2nd ed. ^ Weiss RA, Weiss MA (October 1993). "Doppler ultrasound findings in reticular veins of the thigh subdermic lateral venous system and implications for sclerotherapy". J Dermatol Surg Oncol 19(10): 947–51. PMID 8408914. ^ Ng M, Andrew T, Spector T, Jeffery S (2005). "Linkage to the FOXC2 region of chromosome 16 for varicose veins in otherwise healthy, unselected sibling pairs.". J Med Genet 42 (3): 235–9.doi:10.1136/jmg.2004.024075. PMC 1736007. PMID 15744037. ^ Claude Franceschi Physiopathologie Hémodynamique de l'Insuffisance veineuse in Chirurgie des veines des Membres Inférieurs, page 49, 1996, AERCV editions 23 rue Royale 75008 Paris France. Varicose veins could also be caused by elevated levels of homocysteine in the body can degrade and inhibit the formation of the three main structural components of the artery, collagen, elastin and the proteoglycans. Homocysteine permanently degrades cysteine disulfide bridges and lysine amino acid residues in proteins, gradually affecting function and structure. Simply put, homocysteine is a 'corrosive' of long-living proteins, i.e. collagen or elastin, or life-long proteins, i.e. fibrillin. These long-term effects are difficult to establish in clinical trials focusing on groups with existing artery decline. ^ Campbell B (August 2006). "Varicose veins and their management". BMJ 333 (7562): 287–92.doi:10.1136/bmj.333.7562.287. PMC 1526945. PMID 16888305. ^ Curri SB et al. Changes of cutaneous microcirculation from elasto-compression in chronic venous insufficiency. In Davy A and Stemmer R, editors: Phlebology '89, Montrouge, France, 1989, John Libbey Eurotext. ^ van Rij AM, Chai J, Hill GB, Christie RA (December 2004). "Incidence of deep vein thrombosis after varicose vein surgery". Br J Surg 91 (12): 1582–5. doi:10.1002/bjs.4701.PMID 15386324. ^ Hammarsten J, Pedersen P, Cederlund CG, Campanello M (August 1990). 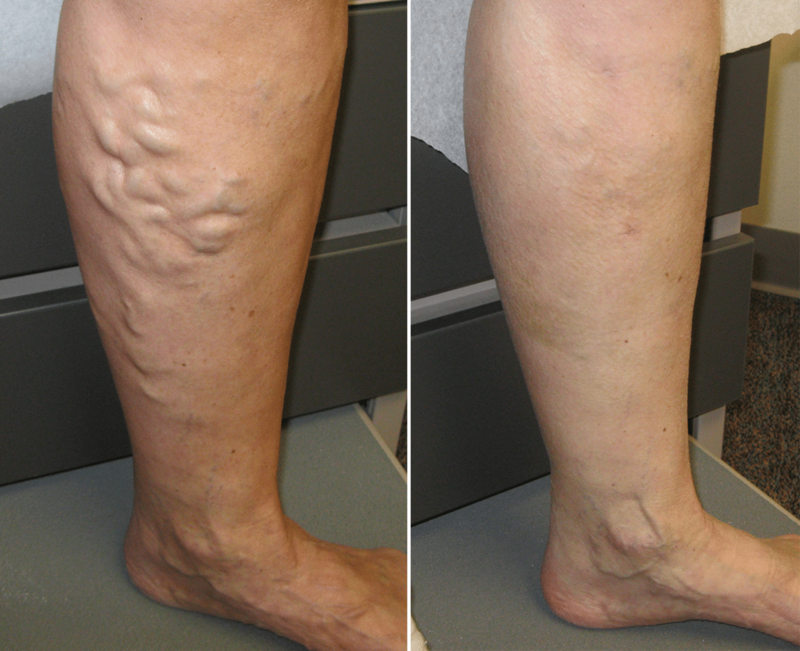 "Long saphenous vein saving surgery for varicose veins. A long-term follow-up". Eur J Vasc Surg 4 (4): 361–4.doi:10.1016/S0950-821X(05)80867-9. PMID 2204548. ^ Shouten R, Mollen RM, Kuijpers HC. A comparison between cryosurgery and conventional stripping in varicose vein surgery: perioperative features and complications. Ann Vas Surg2006;20:306-311. ^ Tisi PV, Beverley C, Rees A (2006). Tisi, Paul V. ed. "Injection sclerotherapy for varicose veins".Cochrane Database Syst Rev (4): CD001732. doi:10.1002/14651858.CD001732.pub2.PMID 17054141. ^ Paul Thibault, Sclerotherapy and Ultrasound-Guided Sclerotherapy, The Vein Book / editor, John J. Bergan, 2007. ^ Kanter A, Thibault P (July 1996). "Saphenofemoral incompetence treated by ultrasound-guided sclerotherapy". Dermatol Surg 22 (7): 648–52. doi:10.1016/1076-0512(96)00173-2.PMID 8680788. ^ Rigby KA, Palfreyman SJ, Beverley C, Michaels JA (2004). Rigby, Kathryn A. ed. "Surgery versus sclerotherapy for the treatment of varicose veins". Cochrane Database Syst Rev (4): CD004980.doi:10.1002/14651858.CD004980. PMID 15495134. ^ Michaels JA, Campbell WB, Brazier JE, et al. (April 2006). "Randomised clinical trial, observational study and assessment of cost-effectiveness of the treatment of varicose veins (REACTIV trial)". Health Technol Assess 10 (13): 1–196, iii–iv. PMID 16707070. ^ Scurr JR, Fisher RK, Wallace SB (2007). "Anaphylaxis Following Foam Sclerotherapy: A Life Threatening Complication of Non Invasive Treatment For Varicose Veins". EJVES Extra 13 (6): 87–89. doi:10.1016/j.ejvsextra.2007.02.005. ^ Medical Services Advisory Committee, ELA for varicose veins. MSAC application 1113, Dept of Health and Ageing, Commonwealth of Australia, 2008. ^ Elmore FA, Lackey D (2008). "Effectiveness of ELA in eliminating superficial venous reflux".Phlebology 23 (1): 21–31. doi:10.1258/phleb.2007.007019. PMID 18361266. ^ Rautio TT, Perälä JM, Wiik HT, Juvonen TS, Haukipuro KA (June 2002). "Endovenous obliteration with radiofrequency-resistive heating for greater saphenous vein insufficiency: a feasibility study". J Vasc Interv Radiol 13 (6): 569–75. doi:10.1016/S1051-0443(07)61649-2.PMID 12050296. ^ Lurie F, Creton D, Eklof B, et al. (January 2005). "Prospective randomised study of endovenous radiofrequency obliteration (closure) versus ligation and vein stripping (EVOLVeS): two-year follow-up". Eur J Vasc Endovasc Surg 29 (1): 67–73. doi:10.1016/j.ejvs.2004.09.019.PMID 15570274.